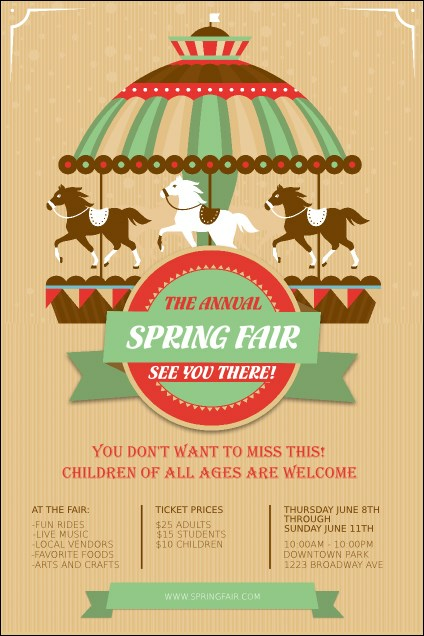 Catch a ride to great event promotions when you post the Merry Go Round Poster in advance. This playful design has a pink, brown and green carousel with three horses galloping. Enter all your event details in twenty-two lines on this easy template. Spring into action with the right poster from TicketPrinting.com.